WHILE Asia doesn’t have the snow, the reindeer and cold over Christmas it doesn’t mean celebrations aren’t in order. 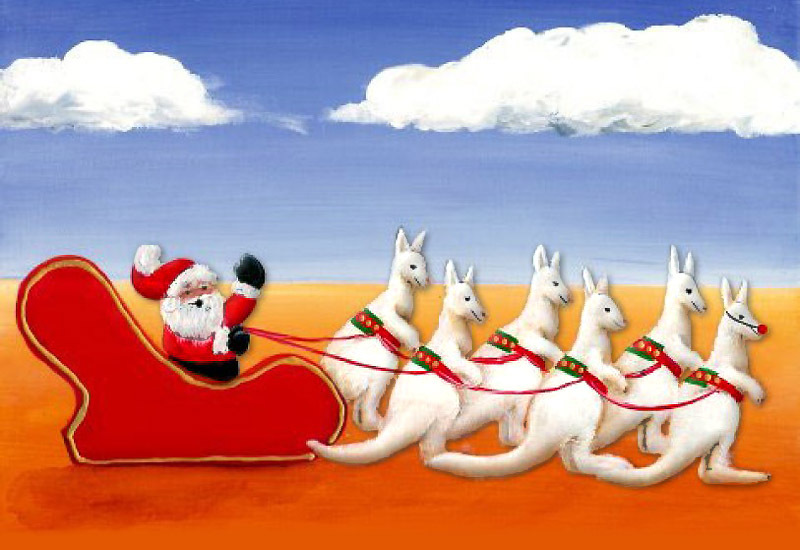 From Santas to Christmas kangaroos here are some unique ways the event is heralded in Asia. Held every year in Brisbane, Australia, the 5km event can be run, walked, skipped or hopped. Registrations include a Santa suit to be worn on the day. It’s pretty warm come November/December in Brisbane at this time so Santas tend to wear board shorts and other cooler Aussie style Santa suits. To listen to the lyrics click here. The extensive entertainment city, Tokyo Dome, in the Japanese capital lights up with Christmas and light displays every year for over 100 days from mid November. In fact the illumination ends after Valentine’s Day. In fact, there are amazing lightshows to be seen all around Tokyo at Christmas time. 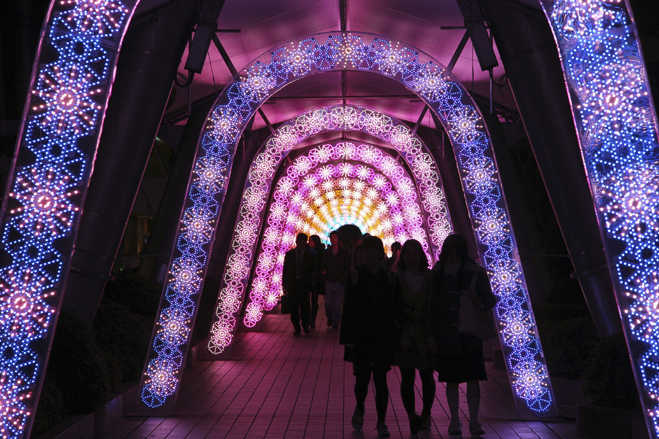 People walk through an illuminated tunnelas the annual "Tokyo Millenario" is lit for Christmas to the New Year holiday season along a 400-meter (437-yard) street at Tokyo's Marunouchi business district. Pic: AP. While Singapore is in the tropics, Tanglin Mall makes artificial snow every year for shoppers to revel in. They have set snow and avalanche times each day. The biggest snow theme park in Malaysia at i-City is the best place to spend the Christmas season. There are igloos, ice houses, slides, ice sculptures and more. At Christmas giant Christmas trees and reindeer lit by LED lights make for a very festive setting. This year the Shanghai Aquarium is inviting visitors to create their own environmentally friendly Christmas tree out of recycled materials.